In the grand scheme of the things two weeks really isn’t a long time. It’s only fourteen days. Granted two weeks is what it takes for one to understand that the New York Football Giants season is going to be a mess, but as far as waiting goes, it’s not that long. Unless you’re Marvel fan. When Entertainment Weekly dropped our first look at Captain Marvel a couple of weeks ago it got everyone buzzing. The night before the cover reveal Brie Larson was on Twitter asking EW if they wanted to “break the internet” and fans started losing their minds. This was it! Since Infinity War wrapped Marvel seems to be extra quiet as of late despite the fact that there are a ton of movies on the horizon. There has been barely a whisper of Avengers 4, which is currently doing some expected re-shoots, and there was even less on Captain Marvel. While the cover reveal was exciting, and in a lot of ways was slightly better than a trailer because it forced fans to theorize, it did leave some fans wanting more. The internet was not broken. Maybe a little banged up, but not broken. We as Marvel fans have been so spoiled over the last ten years that the idea of waiting, even for a trailer, can be hard to fathom at times. But wait we did… for two weeks. And for that waiting Marvel rewarded us. There was no doubt that a trailer for Captain Marvel was coming. I mean, it’s not like they were going to keep this movie hidden from us. It’s Marvel Studios, of course, they want us to watch it. And we know from ten years of Marvel releases that when they drop a trailer that the payoff is going to be worth it. That whole patience thing though… it’s hard. Plus, for those of us who need to know what happens after Infinity War, we needed the Captain Marvel trailer even more because there was no way Disney was giving us a glimpse of Avengers 4 first. News broke over the weekend and was hyped here last night on the Week In Geek and later confirmed on Twitter, that a Captain Marvel trailer was coming today leaving the MCU fan base in an uproar. I had multiple conversations with friends this morning who were anxiously waiting for the trailer to drop. That’s the power of a Marvel movie at this point. All they have to do is say a trailer is coming in the morning and people freak out. Seriously, there were actual countdowns on Twitter ticking down the seconds till the trailer aired. That’s a special kind of fandom Geeklings. I personally can’t tell you how many times I refreshed my Twitter feed waiting for the trailer to pop up. Sure I could have easily turned on Good Morning America to watch it live but there was something special about being on the interwebs with the MCU fan base. It felt like a community that was in this thing together. Another aspect of the MCU that I just love and it feeds into the text and social media conversations I’ve been having today. The release of a Marvel trailer just feels… important. Almost as big of an event as the actual movie if you think about it. 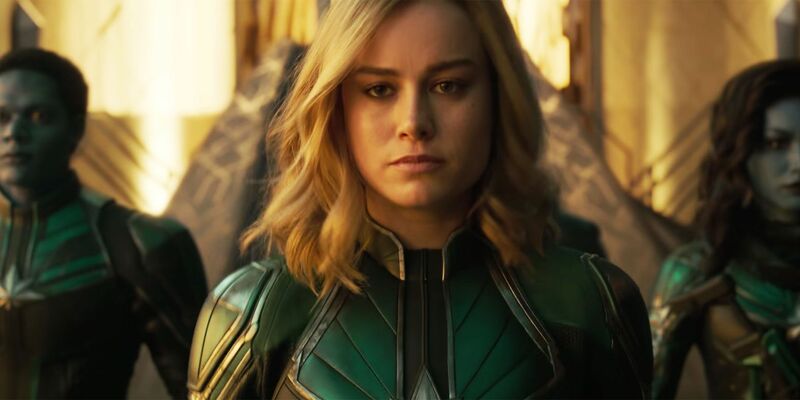 Now put into account that this is the MCU’s first female lead movie that will not only reshape the future of the MCU but give us an idea of Captain Marvel’s importance to defeating Thanos, and you’ve got something special on your hands. As for the trailer itself, it didn’t disappoint. You guys feel like a breakdown? Yeah, you do. Let’s do it! The fact that this movie takes place during the 90’s already tickles allllllll my nostalgia buttons, being a child of the 90’s, but opening with the crash landing in a Blockbuster Video just grabbed me. If there’s anyone who could maybe, possibly (? ), resurrect Blockbuster it’s going to be Marvel. That’s the kind of power they have. Right from the jump start, Captain Marvel feels… different. Not in a bad way more in an expansion kind of way. Not different in the way, say, Doctor Strange felt but it’s obvious that Marvel Studios doesn’t just want to make the same superhero movie over and over again, and they’re starting to dip into different types of subgenres. The score of the trailer gave that mystery vibe and I couldn’t help but get the feeling that Carol Danvers is having some displaced time feelings. It’s clear from the crash landing and the way she thinks it’s okay to walk the streets in a super suit that she has been off earth for quite some time. Now splice in the “memories” she’s having about actually living here and you start to build a story that questions the nature of reality. That’s even before we see a Skrull! If you’re going to introduce those aliens there has to be a sense of paranoia and Carol tackling the idea of what is real and what isn’t will feed perfectly into that. The trailer really does an excellent job of making Carol look like an outsider. That walk through the dark hallway gives a sense that she has an idea of where she is but also that this is all something new to her. The siren in the background of the score is also a great touch as it’s hyping the tension. There definitely seems to be something lurking throughout this trailer. While this won’t be a Captain Marvel origin story per say it totally feels like it could be a Nick Fury one. I love that he’s narrating here and showing us where he was in the 90’s. I kind of get the idea of a beat cop who is ready to hang it all up until this alien comes falling out of the sky. While we don’t know why he chooses to help her we get a sense that he’s acting on his own or maybe with Phil Coulson (did you see him?!?!? Ahhhhhhhhh) and that this could be the birth of S.H.I.E.L.D. That spaceship hovering over earth all invisible like… Skrull or Kree? Go! Is it me or does Carol fall down… a lot. Falls out of space, falls off the ropes, at a baseball field, at the beach, at some random alien planet. What’s that about? Our first look at Jude Law does nothing to answer the hundreds of questions we have about his character. I’m riding the he’s Mar-Vell train and will ultimately be the films big bad. Insert betrayal and all that. I could see him doing some shady stuff with Ronan the Accuser on the side. Plus that shot didn’t paint him in the “hero” light. Anyone else just super pumped to see the MCU’s cosmos expanded? Guardians did such an awesome job of opening that door and I’m really looking forward to learning more, not just about the Kree, but everything else. I have a feeling that Captain Marvel will be focusing on the Kree/Skrull war and there are tons of cosmic possibilities that come with that. Yes, Captain Marvel punching an old woman in the face will be the gif that keeps on giving. I mean, come on. But, that shot does follow our only look at the Skrulls so it’s clear that this woman is a Skrull, right? Feeding further into the possibilities of Secret Invasion. Of course, there’s always the idea that this woman wouldn’t give up her seat on the bus. There’s the pager from Infinity War! Holy crap, they’re going allllllllll out with the look here. Not only is Captain Marvel in the mask but she’s also rocking mohawk look which is one of my favorite Captain Marvel looks by far. I geeked out hard here. Holy power display! If you had doubts about just how powerful Captain Marvel is seeing her flare up like that should have you questioning any of them. We don’t see much else of her powers, other than shooting beams out of her hands on top of the train, but this is enough to show us that there is something mega powerful here. I can’t say enough about how much I love the Brie Larson casting. She is Carol Danvers and the “I’m not what I think I am” line is the perfect amount of vulnerability and badassery. Can’t help but feel that might be aimed at anyone who doubted the awesome of Captain Marvel. The trailer barely clocks in at two minutes and I’m not only left wanting more but feeling super excited. Like I can’t wait for the Adorable Creature to get home from work so I can show this to her. Seriously, we know next to nothing about what this story is about but it doesn’t matter. Captain Marvel has arrived and our first real look at her was breathtaking. If Brie Larson was out to break the internet then I think her and Marvel Studios might have succeeded. As of the time I’m writing this the top four trends on Twitter are all Captain Marvel related. 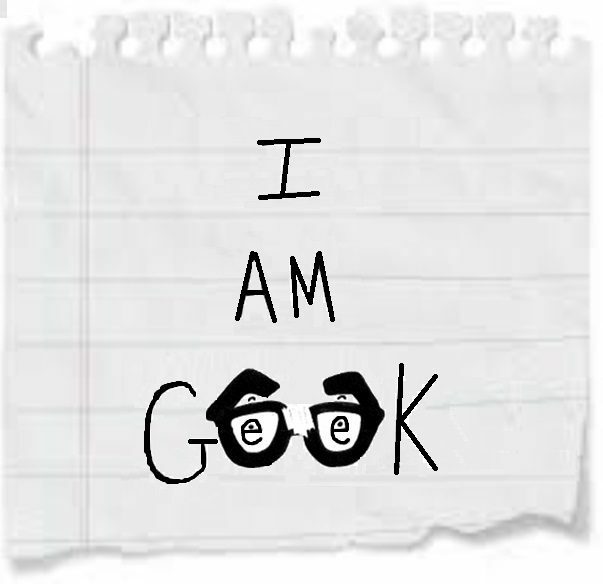 But what did you think Geeklings? Did this trailer have you wanting more Captain Marvel stat or were you underwhelmed? Sound off in the comments with all your Captain Marvel thoughts. If you’d like to talk more Carol Danvers or anything MCU related you can find me on the Twitter @iamgeek32. Now if you’ll excuse me, I have another three to five trailer viewings to get to!